AVOCADO Brings SHO Nutrition LLC to You: If it’s Specialty, Unique or Local, It’s on AVOCADO! 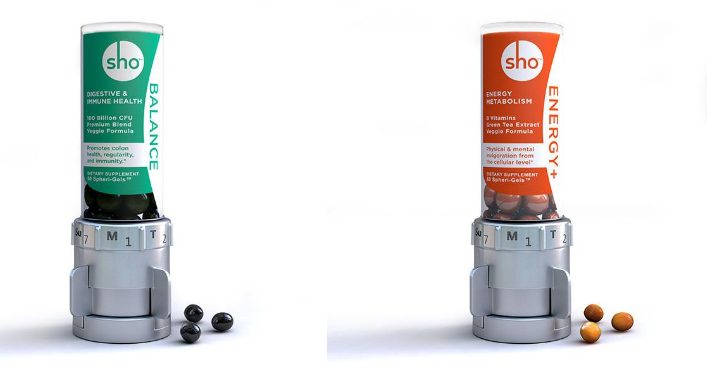 An amalgam of Eastern customs and Western wisdom, SHO Nutrition LLC makes vitamins and supplements sanctioned by the authorities as safe to use. Do you find yourself running out of safe, convenient and elegant options to remain fit and healthy? Then turn to SHO Nutrition LLC! The brainchild of the former corporate executive Joy Wang—SHO is the perfect blend of past and present. With the Eastern knowledge of herbs and medicine and the Western knowledge of technology, SHO’s supplements allow you to acquire ‘Energy’ and ‘Balance’ in your life to age youthfully! The best part about this product is the tracking device, which makes taking routinely supplements so convenient. The supplement pills are available in a one-click dispense, which tracks the daily amount of pills taken and records the number to be taken. While you may have already heard of SHO’s noble mission of providing the market with safe supplements + convenient one-click dispenser machine, you may have missed out its latest announcement about collaborating with AVOCADO! As promised, AVOCADO brings specialty, unique and local SHO Nutrition LLC to the people of Brooklyn. Because of this joint venture, AVOCADO provides an online option to its users to shop from SHO Nutrition LLC and remain fit and healthy. With its under 3-hour home delivery without any surplus charges, the AVOCADO shopping app makes stocking, restocking and last minute purchases extremely convenient. In fact, AVOCADO partners with several self-driving automated car companies, which allows it to deliver efficiently as promised. So are you ready to set aboard your fitness journey with SHO Nutrition LLC? Then download the AVOCADO shopping app today and start shopping!